On the ride home I saw this plate. Pretty neat. 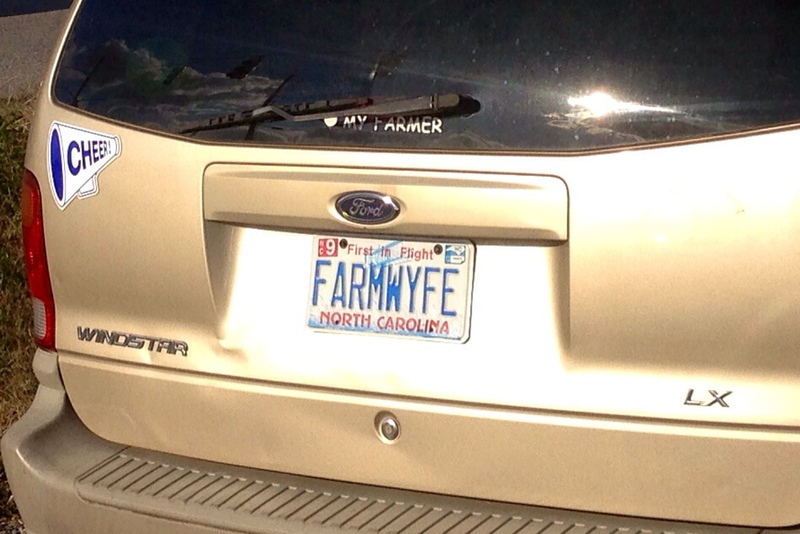 Instead of the soccer mom I expect from a mini-van, it ‘s a girl who can drive a tractor. Previous PostPrevious What the heck is this?